We offer non-commitment packages, as well as longer-term packages, and which are transferable to family and friends. We do not have membership fees, annual fees, gym use fees, towel fees, etc. 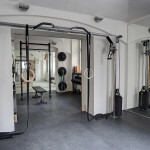 When you pay for an hour of our time, you get access to the clean / private facility, use of equipment, diagnostics, the trainer’s full attention, as well as use of private showers, reception lounge with coffee and tea, before and after the session. Wi-Fi is also available. Depending on the training modality, clients may be able to share their sessions with a friend or family member. Please consult your trainer about this possibility. Our smaller packages are aimed at consultation, or program design for clients who plan to train by themselves. They are also used as a tester when a new client is unsure about commitment. Our larger packages are aimed at longer term cooperation. After 12, or 24 hours, our clients can expect to see and feel a difference in the way they look, feel, and perform. These group sessions are more affordable for the client, yet retain a high level of quality and service. The groups of 2 people are billed as a single personal training session. 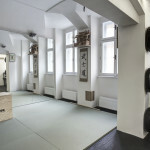 Entry to Advance Training studio is included in the Personal Training package, however entry to the Hotel requires a membership.